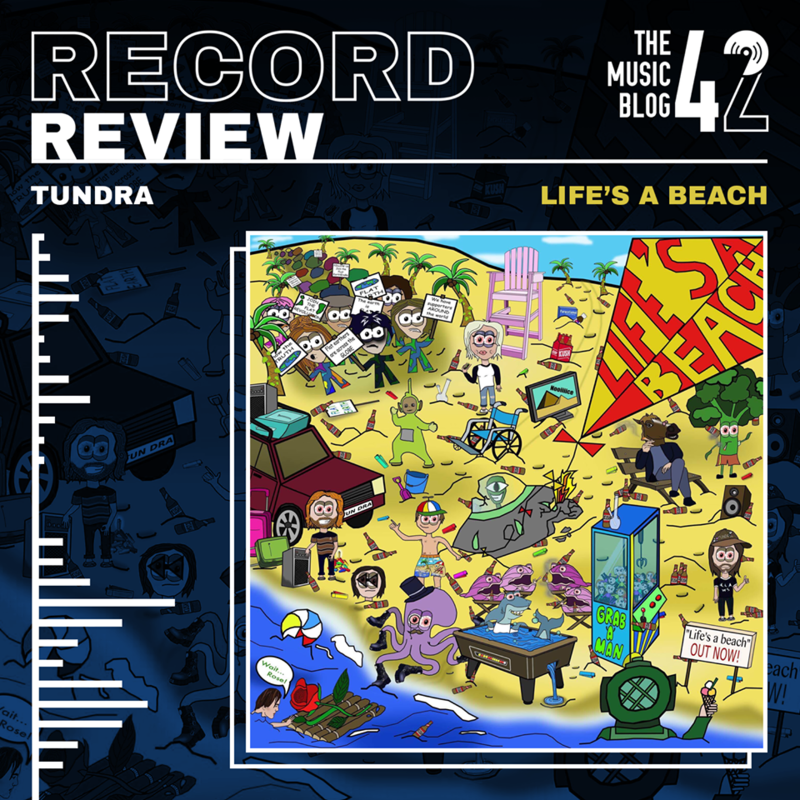 An EP that has been teased for quite a long time has lived up to the hype, Tundra’s second EP Life’s A Beach is a defining moment for Sudbury’s loveable punk trio. Having already had a mind-blowing start to 2018 with a surprise support slot with Yorkshire rockers Marmozets at Cambridge Junction in February, the band are about to make more waves in the local scene with these fun, memorable tracks. Pink Eye kicks off the EP, which contains a laugh-out-loud skit relating to Charles Xavier of the X-Men, showing off the classic Tundra sound of thrashing drums and catchy lyrics and although the chorus is as simple as “We Don’t Care!” it’s as infectious as the chorus to Vacation (Cheer Up Chuck) from their debut EP Pretty Bird. The fun doesn’t stop there though, with a track that just screams 00’s pop-punk in the shape of Walking Stick. Here we see a different side to guitarist Caitilin Pegley’s vocals which have more of a punch to them than what we’ve heard previously from the band, perfectly fitting in with the hard-hitting drums of Elliott Rodger-Brown and Elliot Booth’s sludgy bass lines which helps create an exhilarating sound not only on record but live too. Following on from the previous two tracks, the EP takes a more reflective turn with Swimming Shorts. If you were looking for that song for your summer playlists, then this is it. An utterly stunning six-minute long triumph which builds up with Booth and Pegley’s intriguing vocals into an absolutely barnstorming minute and a half worth of full-blooded instrumentals. If you haven’t heard this track, you’re truly missing out, easily a Track of the Year contender! The fun and thrill of Life’s A Beach turns up several notches with the oddness of Strobe Lights And Loud Noises. Hectic instrumentals and the shoegaze-feel of Pegley’s vocals makes this, albeit a short one, a loveable and welcome track. Get Lost marks the end of the EP. The track definitely has a very tight alternative-punk sound with Booth’s vocals here being one of my highlights on Life’s A Beach. At moments the track is very comparable to Loser from their debut EP, though this track has definitely shown how fast the band have matured and honed their creative abilities. The EP also contains a live version of the band’s crowd-pleasing track Vacation (Cheer Up Chuck). This track caused a large stage invasion at the band’s headline show at the BurySOUND Grand Final in March, and the live version is something to be heard! Life’s A Beach is available on all streaming services. Catch Tundra at the Bury Fringe All-Dayer on Saturday 5th May and at the Riverwalk Fundraiser on Saturday 16th June, both at The Hunter Club, Bury St Edmunds!